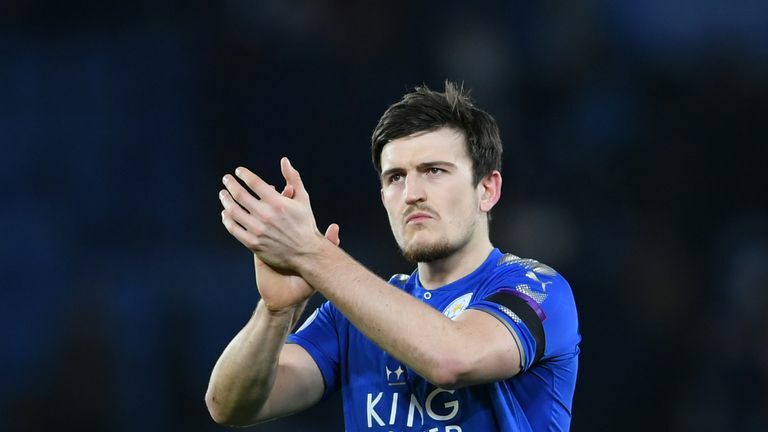 Harry Maguire returned to Leicester City training on Monday morning with Manchester United preparing to make a bid for the defender. The 25-year-old centre-half was given extra time off to recover from playing for England in the 2018 World Cup. His performances in Russia - and for Leicester in the Premier League after signing from Hull City in a £17m deal last summer - mean he has attracted interest from Jose Mourinho, who is believed to have made Maguire his top target ahead of the new season. Manchester United are preparing to make a bid for Maguire before the transfer window closes on Thursday, according to Sky sources. United are aware they will be required to pay a new world-record fee for a defender to take him from the King Power Stadium. Last week, Leicester manager Claude Puel made it clear he hopes to keep Maguire, saying: "I think Harry is a very good player for us. It's important to keep him and just a few days before the season it would be not a good thing for the squad, for the confidence for Leicester. "We lost Riyad Mahrez. We know the importance of this player. We cannot lose also a very good player for the team." Is Maguire the answer for Man Utd? If United are unable to complete a deal for Maguire, it is understood their list of targets includes Toby Alderweireld and Yerry Mina. Manchester United's first game of the Premier League season is against Leicester on Friday, live on Sky Sports.